Iron & Wine‘s new record, Kiss Each Other Clean, came out Tuesday on Warner Brothers Records. After having played a few small warm up shows in NYC, Sam Beam and his band kicked off their tour on Tuesday night (Jan 25) at The Wiltern in LA. 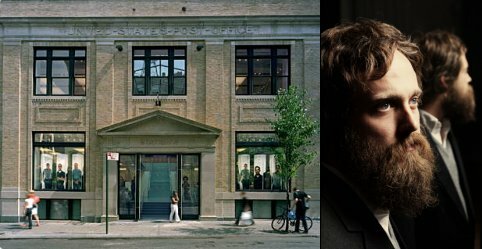 Iron and Wine will make their Radio City debut (Jan 29) on Friday night, but not before playing yet another intimate performance at the Apple Store in SoHo on Jan 28 at 7PM. For guaranteed admission to the in-store performance, stop by the Apple Store on Thursday, Jan 27 at 9AM to pick up a wristband. Check out Iron and Wine‘s full tour schedule and a little video of “Naked As We Came” from the Greene Space show after the jump.